Few days ago there was a news featuring Yo Yo Honey Singh that his Song in Shah Rukh Khan’s Chennai Express ‘Lungi Dance is the Most Searched Song of the Year, this was declared by the Microsoft’s Search Engine Bing and now another News floating around about Honey Singh is a case of cheating and forgery was lodged against him and two others following a complaint filed by a Jamshedpur charitable organization. Two others who are also booked in the case are Anup Kumar and Sourav Chowdhury, director of Mumbai-based Outcry Entertainment that handles Honey’s events. Case was lodged in Bistarpur police station following the orders of the court of first class judicial magistrate A K Dubey after Walk Along Youths (WAY) brought charges of cheating against the rapper, his manager Anup Kumar and Sourav Chowdhury. As WAY counsel described the case, Their organization had to reschedule the Honey Singh’s performances due to security reasons and the event firm managing his shows demanded Rs 75 lakh in addition to Rs 5.75 lakh as service tax without performing the show. According to the counsel, the live show was initially scheduled for October 18, but could not take place as prior permission of the SDO was not sought. The next date for the show was October 31, but that show too could not be held as the district administration refused to grant permission on security grounds in the wake of the blasts at Narendra Modi’s rally site in Patna on October 27. “When the new date (November 7) was fixed for the show, the event management firm demanded additional money from my client,” said Sahu, adding that initially a sum of Rs 31 lakh was paid to the event management firm for the October 18 show. Now, the issuance which needs to be hashed out is for how long Honey Singh will continue to fall in controversies?? 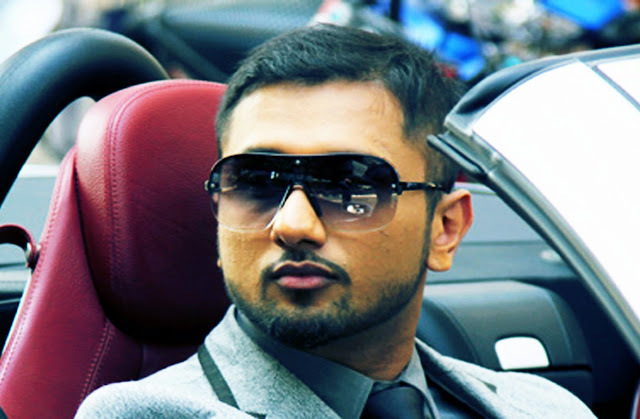 Earlier a case was lodged against honey singh in which The Chandigarh High Court dismissed all the cases filed against singer Yo Yo Honey Singh, which said that he has sung the controversial ‘Balatkaari’ song. The FIR and the PIL filed against him were dismissed completely by the court stating that there is no proof that he has sung the song and that Youtube is such a medium where anyone can upload any content under anyone’s name. In this case also, a derogatory song against women was uploaded on Youtube under Yo Yo Honey Singh’s name by an imposter and then reports were filed against him. Honey Singh and his management haven’t issued any statement regarding this case, we need to wait and watch their perspective on the case. - Kartik Nijhawan is the Editor-in-Chief of The News-O-Holic news blogazine.